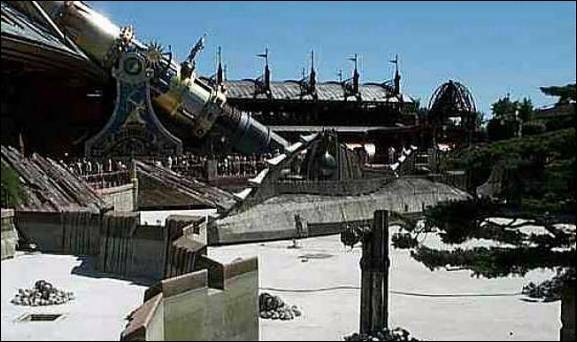 Jules Verne was French. 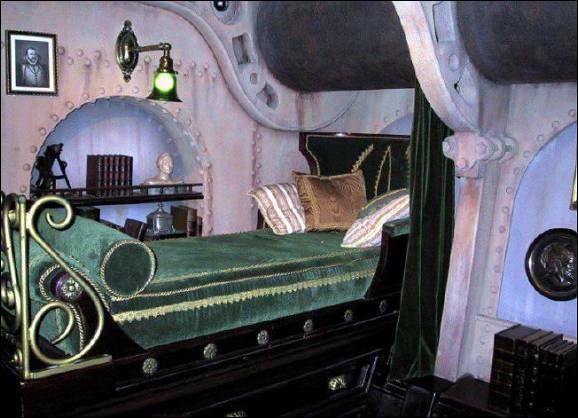 So it’s only natural that the French people would have a warm place in their hearts for 20,000 Leagues Under the Sea. Voyez! 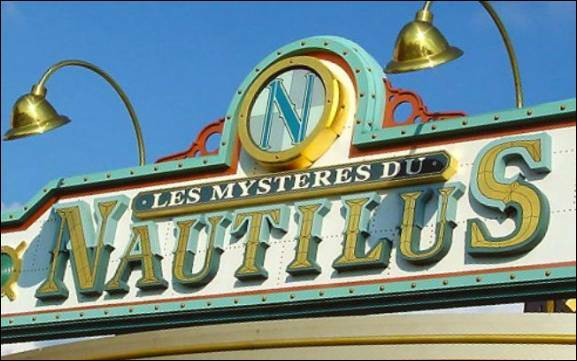 Les Mysteres Du Nautilus! Entrez, mes amis! 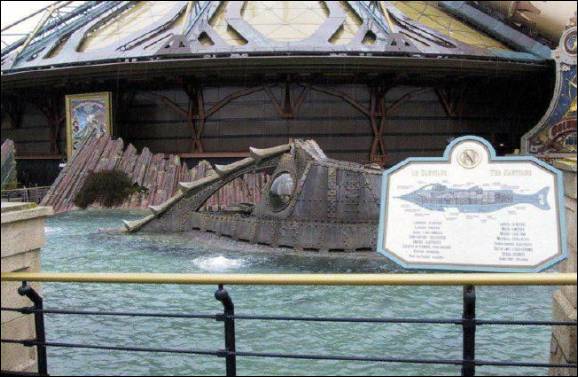 Dominating the approach to Les Mysteries is this nearly full-scale waterline replica of the NAUTILUS, seemingly afloat in a man-made lagoon. 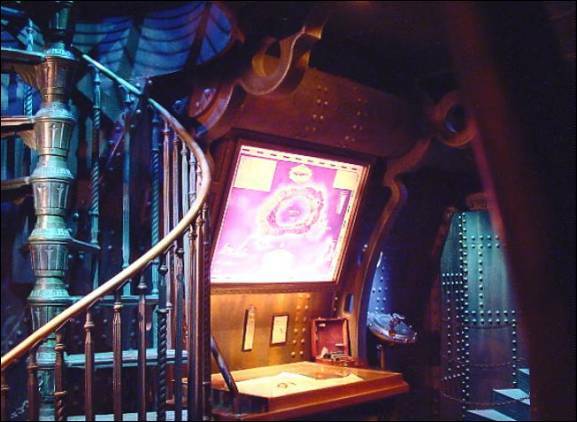 And perhaps taking a cue from the original 20,000 Leagues Exhibit in Disneyland, beyond the salon window of this NAUTILUS, visitors encounter the monstrous giant squid. C’est un grand calmar, non? 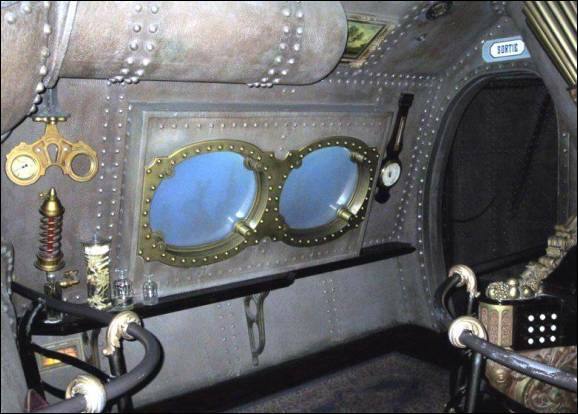 One of my favorite parts of the sub was the dive chamber. 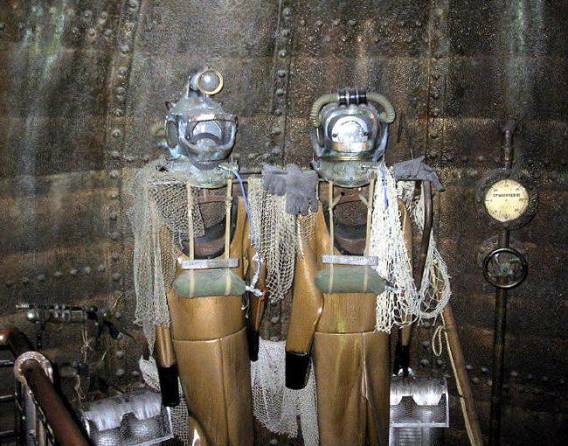 In France, they have combined that display with the equipment locker, and we see Nemo’s diving gear staged alongside that of a crewman, ready for use. 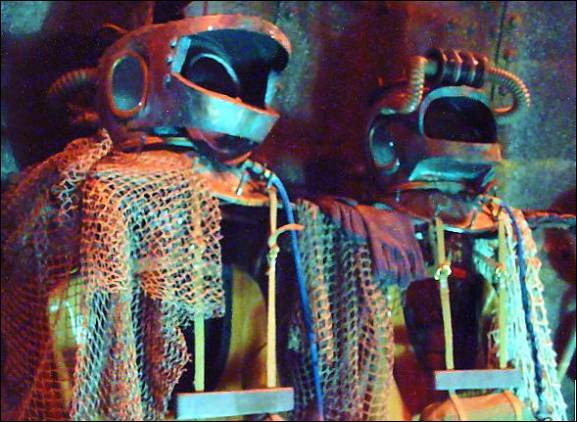 A closeup of the NEMO and DIVER helmets. 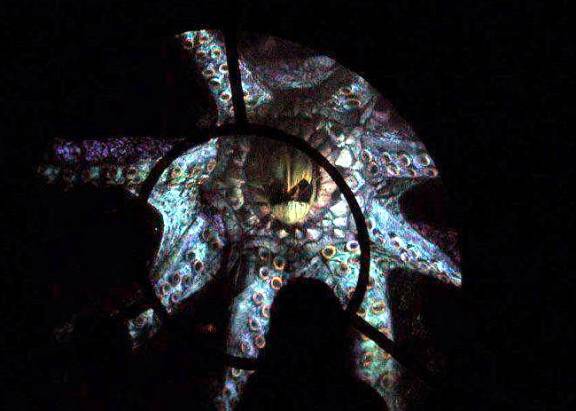 Of course, the star of the show is the giant scale waterline NAUTILUS replica. 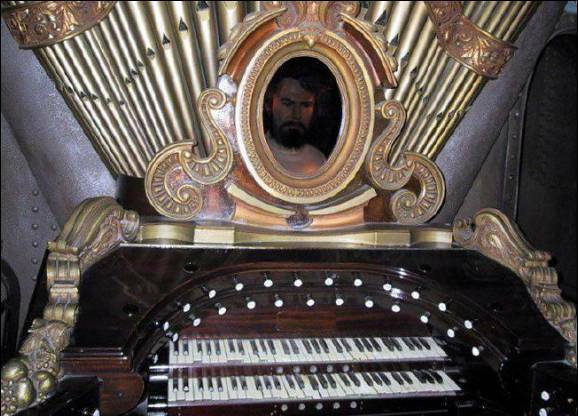 Very authentic looking. In this scene we see the lagoon drained for maintenance. 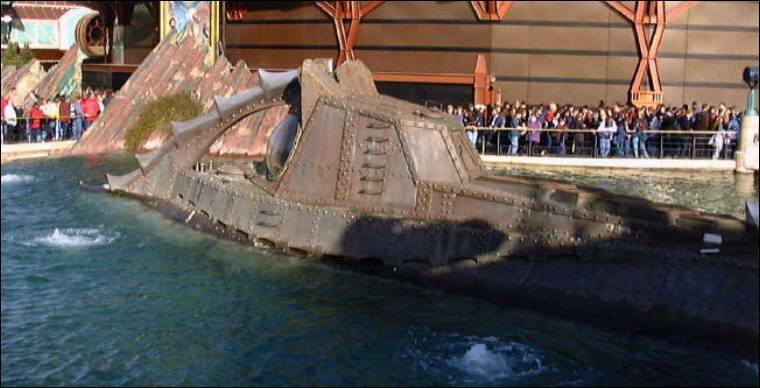 Here, we become aware that the NAUTILUS is not really a fish of steel, but actually a construction of concrete. 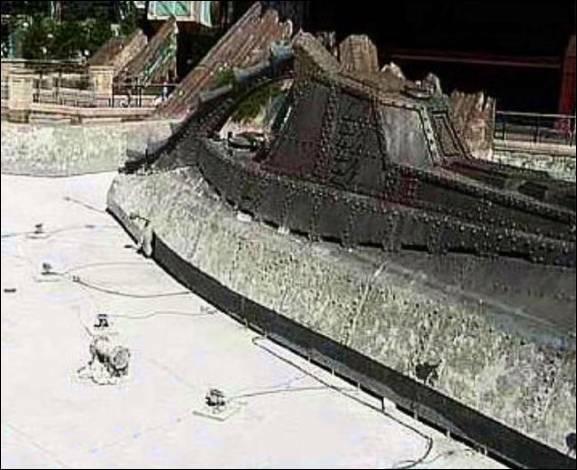 A close view of the high-and-dry NAUTILUS reveals its true nature, and lays bare the surrounding floodlamps and air lines which add to the visual effect when the submarine is immersed. Just add water, Et voyez! 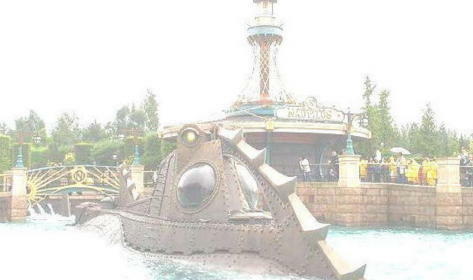 Les Sous-marine Nautilus! 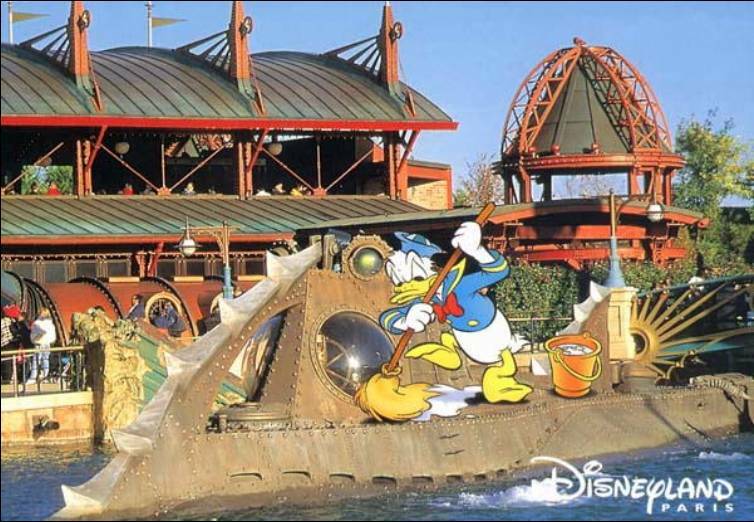 A whimsical postcard from Disneyland Paris.